If we haven’t met, Hi!!! 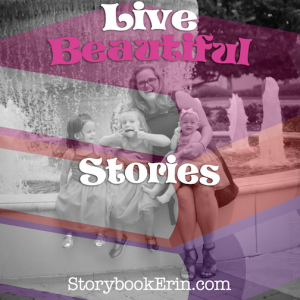 I’m Erin and I share beautiful stories. In December of 2011 my husband and I read a book that completely changed our lives, it changed the way we approached the new year, and as a result, we went from existing as two people dreaming of a better future to two people LIVING a better future. We made changes to improve our health and quality of life. We fell in love with running, rekindled our love and appreciation for each other and on my husband’s birthday in 2013 we found out that our family was going to expand. Fast forward a few years and now you can find us living the beautiful city of Miami, Florida and chasing our three girls around, making as many memories as possible. The book we read? A Million Miles in a Thousand Years: How I Learned to Live a Better Story by Donald Miller. The biggest takeaway I had from the book was this; If you would not want to watch your life on the silver screen, then maybe something’s gotta give. My hope and intent for this website is to be a place where you are encouraged. I desire for you to feel empowered to live positively, to go on adventures, to make memories and to LIVE beautiful stories.